The UN secretary general is on a three-day visit to the country. United Nations Secretary-General Antonio Guterres on Tuesday said India was becoming a “fundamental pillar of multilateralism”, PTI reported. The UN secretary general is on a three-day visit, that began on Monday, to the country. 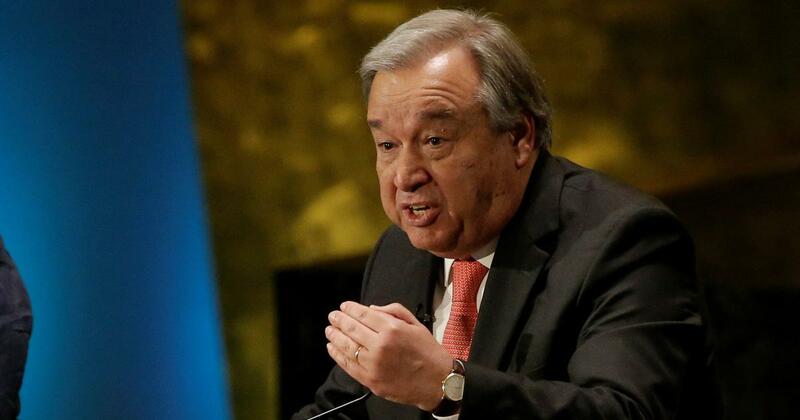 “It is impossible to build a multipolar world without a very relevant role of India,” Guterres said. The secretary-general said the United Nations needs to collaborate with India and support its development programme as well as its climate change and the Sustainable Development Goals initiatives. Guterres’ paid tributes to Mahatma Gandhi on his birth anniversary at the Raj Ghat memorial in Delhi. The UN chief described Gandhi as a “great soul” and humanity’s “guide in our troubled world”. Guterres is scheduled to meet Prime Minister Narendra Modi, Lok Sabha Speaker Sumitra Mahajan and External Affairs Minister Sushma Swaraj, and visit the Golden Temple in Amritsar. Ahead of his visit, Kashmiri separatist leaders, under the banner of Joint Resistance Leadership, on Monday said they have written to Guterres to draw his attention to the urgency of the Kashmir dispute.